Clara Mae Wright obituary. Carnes Funeral Home. Clara Mae Foller Baker Wright, 102, went peacefully home to be with her Savior, Jesus Christ, on Wednesday, August 29th at her daughter Ruby’s home in Conroe, Texas where she had been living for 17 years. Clara was born on August 1, 1916 in Putman, Texas to James (Jim) Erasmus & Clara Maude (Davenport) Foller. Clara is preceded in death by her parents; husband of 47 years and father of her 4 children William (Willie) T. Baker; husband Lester Jones; husband Chester Wright; 5 brothers and 2 sisters; son Johnny T. Baker; daughter Leola Essl; 3 grandchildren. 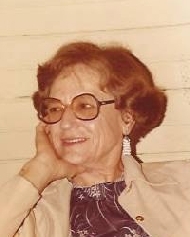 Clara is survived by her eldest daughter Willie Mae and husband Bill Hazzard of Texas City, TX; daughter Ruby Tibbs of Conroe, TX; 8 grandchildren, 15 great-grandchildren; 10 great-great-grandchildren, and numerous loved ones of her extended family. Her dedication to work and service is shown in her almost 30 years in food service at Clear Creek ISD, her long time dedication as a member and Preschool Sunday school teacher at First Baptist Church (now Bay Area) in League City, TX, and upon her move to Conroe, she was active at Mt. Calvary Baptist and Mims Baptist churches. Clara’s love for Jesus was at the core of her everyday life as well as her love for her family. Visiting relatives, attending reunions, and making herself available to anyone in need was constant. Cooking, playing 42 Dominoes and Skip-Bo cards, singing hymns and quoting poems, and making holiday memories for her family were her life’s gift to those around her. Her role as “Nana” to the many generations under her garnished her devotion. She traveled extensively far and wide over the years including Africa, Israel, Hawaii, and 48 states in the US. Clara spent more days on this earth than most. Her family never doubted the strength and longevity of her 102 fully lived years, and with the extraordinary care from Dr. Berwick and her loyal, faithful daughters, she lived out her final years in a loving and comfortable home.